Since the end of the Civil War, Door County lighthouses have guided the way for hundreds of sailors through canals and the Great Lakes. Many of these lighthouses are still standing today, including the Eagle Bluff Lighthouse. This historic structure proudly stands 76 feet above the waters of Green Bay and represents the lightkeepers who kept the lamp burning on many dark and stormy nights. Here is everything you need to know about the Eagle Bluff Lighthouse and how you can see it during your next visit to Door County! The Eagle Bluff Lighthouse is just one of the many extraordinary attractions in Door County. By downloading our free Vacation Guide, you’ll instantly receive a full list of the most popular things to do in our area including local outdoor activities, dining, shopping, and more. 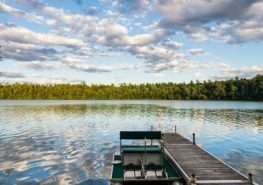 Once the riches of northeastern Wisconsin was discovered after the Civil War, thousands of pioneers trekked through the challenging waters surrounding Door County. If it weren’t for the lighthouses, including the one standing at Eagle Bluff, the hundreds of schooners filled with immigrants and settlers never would have made it to land. Eagle Bluff Lighthouse brought solace to sailors passing through the dark of the night. Today, the tradition continues! Although the lighthouse has been retired from its days of guiding ships, it is a museum that commemorates the lightkeepers and their families. Guests can visit the fully restored lighthouse, learn personal stories of the keepers, see original furnishings, and more. 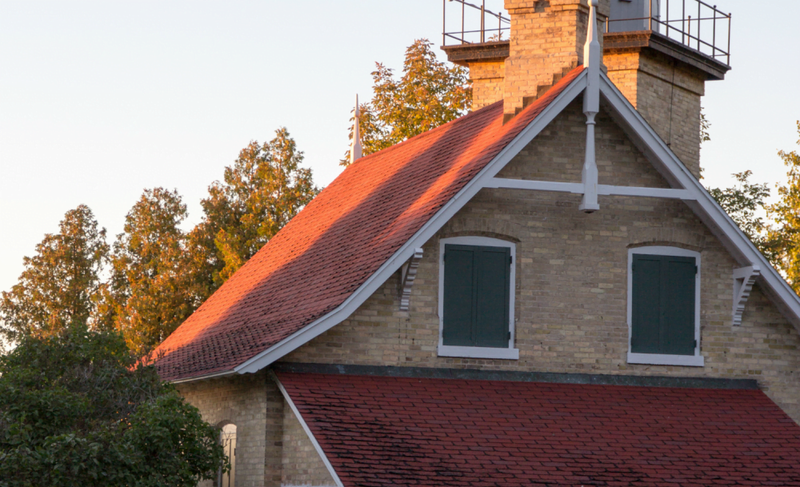 From mid-May to mid-October, guests are welcome to visit the Eagle Bluff Lighthouse and take guided tours! Knowledgeable guides will lead you through the grounds and tell you fascinating stories and the lighthouse, its keepers, and history you won’t find in any textbook. Tours are available from 10 a.m. to 3:30 p.m. on the hour and half-hours. Please note that a Wisconsin State Park admission sticker is required for visiting the lighthouse by motorized vehicle. Consider purchasing a day sticker to get the most out of your experience at the Eagle Bluff Lighthouse and Peninsula State Park. Is the Eagle Bluff Lighthouse Haunted? Nobody knows for sure, but there have been several sightings of a ghostly young boy playing on the grounds of the lighthouse. Since there is no record of any children dying in or near the lighthouse, experts are unsure as to who this spirit once belonged to. While it remains a mystery, many ghost hunters frequent the lighthouse in hopes of seeing the spirit for themselves. 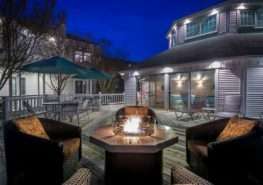 As one of the only adults-only hotels on the peninsula, The Ashbrooke is the perfect place for a much-needed getaway! Our highly-appointed rooms and suites are designed with your comfort in mind and boast all the amenities you’d expect from a luxury resort. 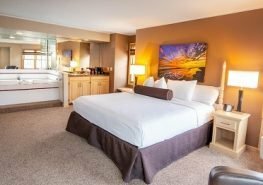 Some of our rooms even include an in-room whirlpool tub for extra luxury and relaxation.Our prime location in the heart of Door County also places you just minutes from all the best Egg Harbor restaurants and attractions you’ll want to experience. Come and see for yourself why so many of our guests return again and again! 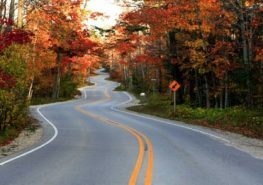 Book today or take a look at our Door County vacation packages to find out how you can save even more on your escape!